Danielle is part of our creative team in the Jupiter office. It’s hard to believe she’s only been with us for three years given the large number of projects she’s been involved with. We kick-started her training by having her spend 10 straight weeks in the field as a special features art consultant. Since that time, she’s been a part of more than 12 builds ranging from community-build to contractor builds. In addition to her on-site experience, she’s also had an opportunity to participate in design days. Her response to this process is that she got to hang out with some pretty spectacular kids. Danielle loves working with kids and finds their imaginations to be fascinating. Working with children is not new to Danielle as she previously worked at Club Med as a stage designer and had direct interaction with the kids that visited the resort. She believes children are the heart of a community and the coolest creatures on the planet. When not in the field designing and building, she’s busy project managing and developing designs in office. As part of our design staff, she is also responsible for 3D artist renderings and creating details for the builds. Danielle obtained her bachelor’s degree in fashion design, but knew she wanted to spread her wings further. She ventured into visual design, worked as a costume designer, stage designer, graphic designer, and home decor/furniture repair. 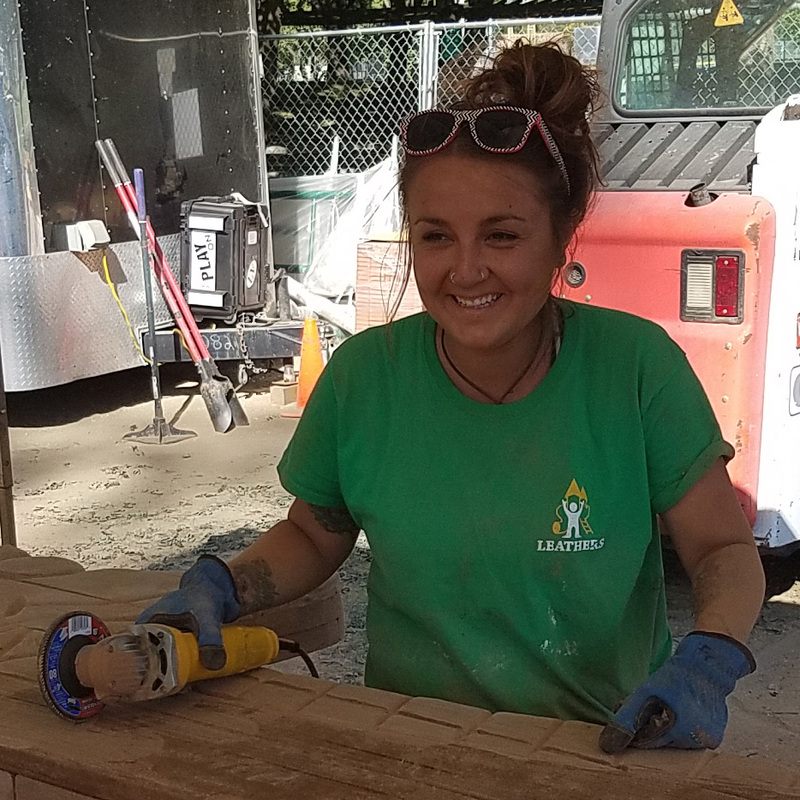 While she is incredibly artistic, she is also hands on and able to operate any tool on the build site! She is a nationally certified playground safety inspector (CPSI) and knows the safety standards and guidelines that apply to today’s playgrounds.